The main configuration attendees will need to adjust is the volume level. The Audio Setup Wizard provides a simple and intuitive way for the audio output and audio input via an attached microphone to be configured. Attendees can request to speak if they have access to both a microphone and headphones. 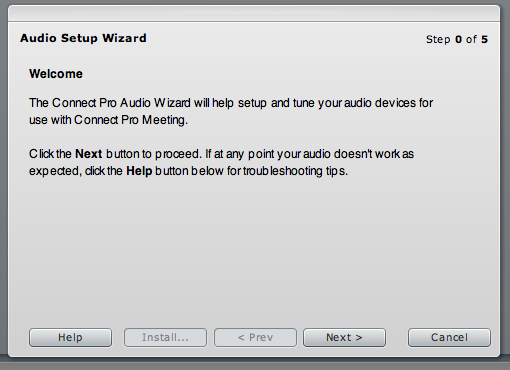 Select Meeting > Manage My Settings > Audio Setup Wizard … from the menu to access the Audio Setup Wizard. 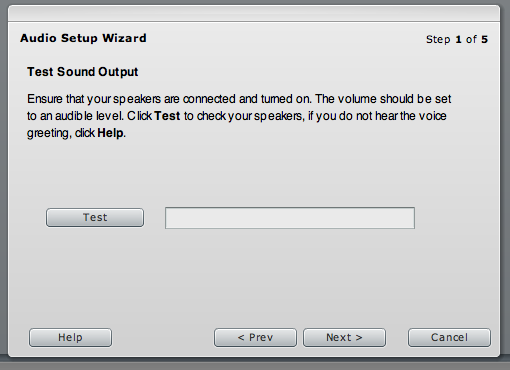 The Audio Setup Wizard provides guidance for configuring the audio provided by Adobe Acrobat Connect Pro via a series of dialog boxes. 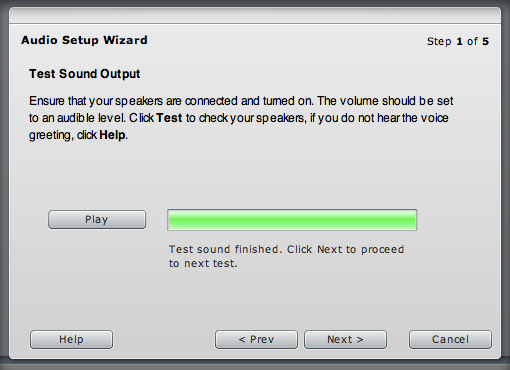 The first step of the Audio Setup Wizard explains how the process of configuring audio in Adobe Acrobat Connect Pro works. The first step is to test the sound output from Adobe Acrobat Connect Pro by clicking the Test button. A short clip of music will be played during which the correct level for the speakers or headphones can be set. When the sound clip has stopped playing a message is displayed to this effect. 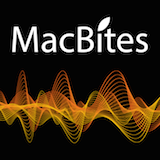 The clip can be replayed as required until the correct audio levels have been set. 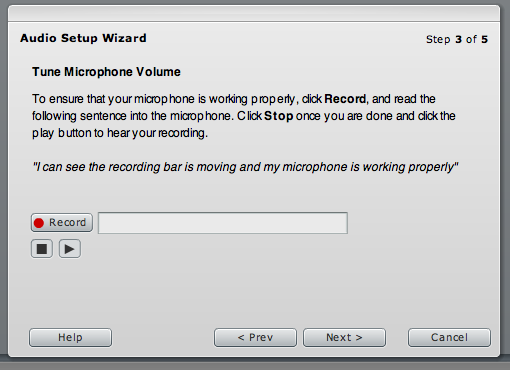 Step 2 allows a microphone to be selected. 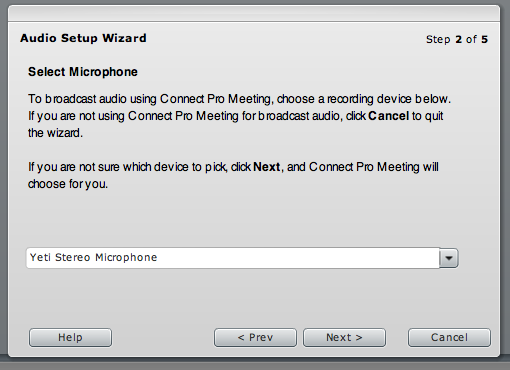 Unless attendees intend to participate via audio this step can be skipped. If this step is necessary then proceed by selecting a microphone from the drop down list. 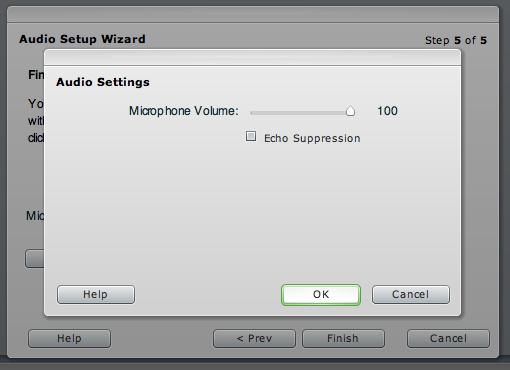 Step 3 allows the microphone selected in the previous step to be optimally configured. Click Record and read the suggested sentence into the microphone. Click stop when this is complete. Pressing Play replays the recorded sentence for the level of the audio to be checked. Irrespective of how quiet the surroundings may appear to be a microphone can magnify any almost imperceptible sounds to annoying levels. To alleviate the effect of this Adobe Acrobat Connect Pro can measure the ambient noise levels and take them into account when configuring the optimal settings for an individual system. Press the Test Silence button and keep as silent as possible during the testing process. Once the silence test is complete move on to the next step. 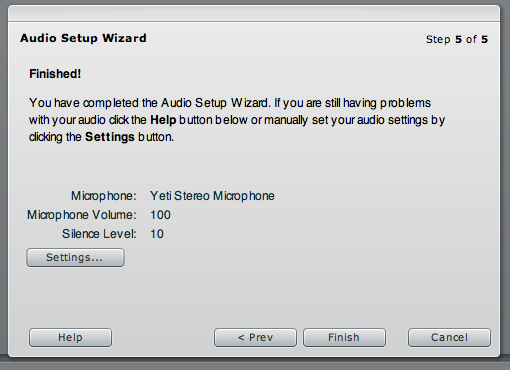 The final step of the Audio Setup Wizard displays the settings computed during the collection process. The Audio Settings dialog, accessed via the Settings button in the previous step, allows the Microphone volume to be adjusted and/or the Echo Suppression to be activated and deactivated.